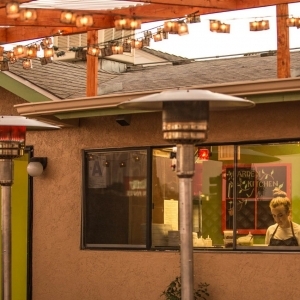 Garden Kitchen San Diego | Fresh Food, Sustainable, Cooking From Scratch. 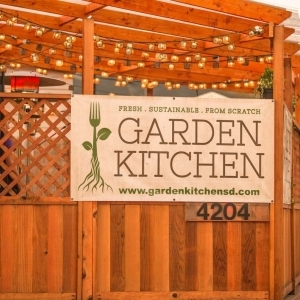 Welcome to Garden Kitchen! 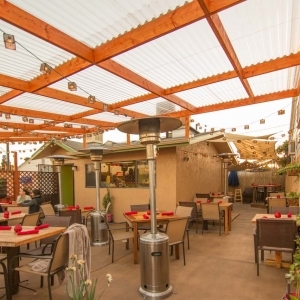 At our restaurant located in the wonderful San Diego neighborhood of Rolando, you will enjoy healthy farm to table options that satisfy all tastes, from vegan to vegetarian and carnivores alike. 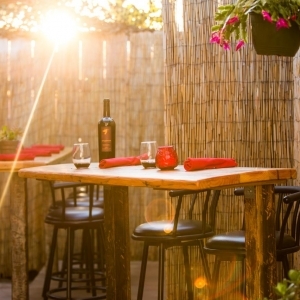 Our restaurant is open Tuesday to Saturday, 3 – 9pm, with Happy Hour from 3 – 5pm for discounted appetizers and drinks, then full dinner service starting at 5pm. 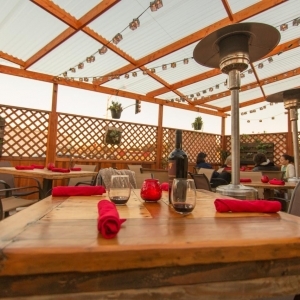 The indoor lounge is also now open and features a small bites menu and an expanded wine list including both local & world wines. Lounge hours are Thurs-Sat 5pm-9pm. 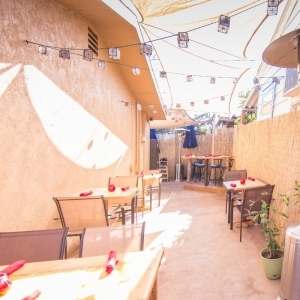 Our main dining area is an outdoor lovely covered patio. 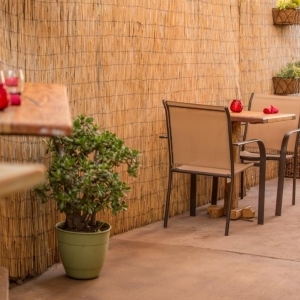 You can relax and eat your meal in a casual atmosphere while enjoying the beautiful San Diego evenings at our cozy bungalow. 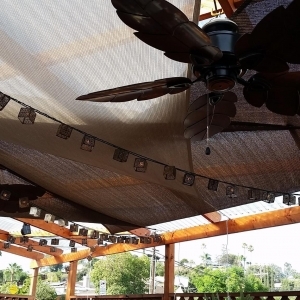 While we are covered and rainproof, remember to dress weather appropriate when you visit, we have fans and shade for when it’s hot and heaters and blankets if you get chilly. We are family oriented and dog friendly, look forward to meeting you soon! 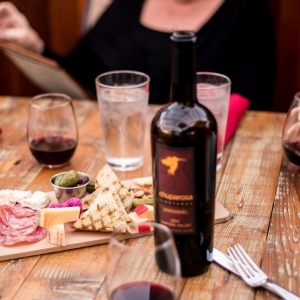 Read a bit more about us and our food. 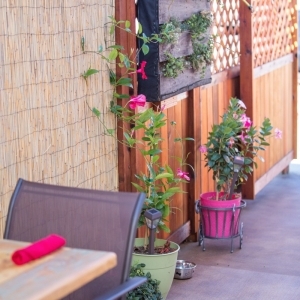 Connect with us to stay up to date, or stop by any time our front gate is open and introduce yourself!